We love this! Go for it! Try a daring color! 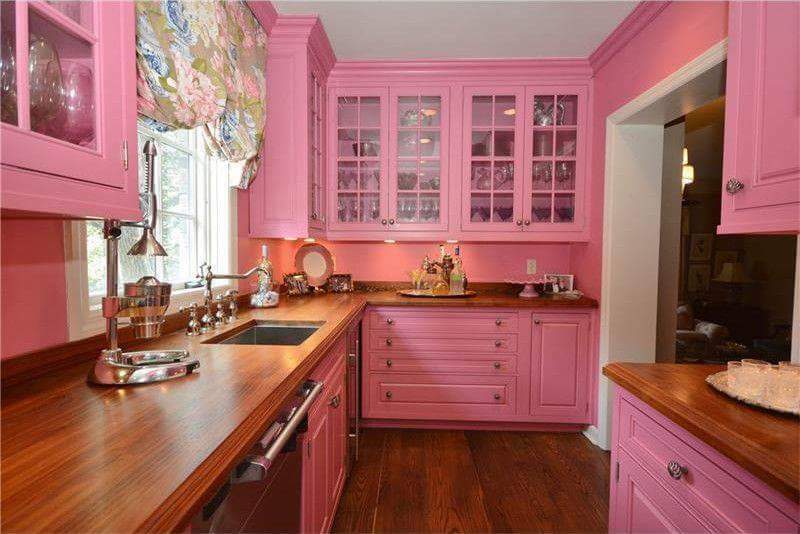 We love this kitchen in fresh pink! Paint is the most affordable and best way to revamp an area! SAND AND PRIME FIRST!